Cooking usually involves some sort of heat. Food is often seared, stewed, roasted or baked, etc. For some reason, I’ve recently gravitated toward dishes that are not cooked with heat… Two of my favorite things in the world are steak tartare and beef carpaccio. Sushi? Definitely. And you all know that I’m always up for trying something new. There’s a middle ground, though, and it’s delicious. 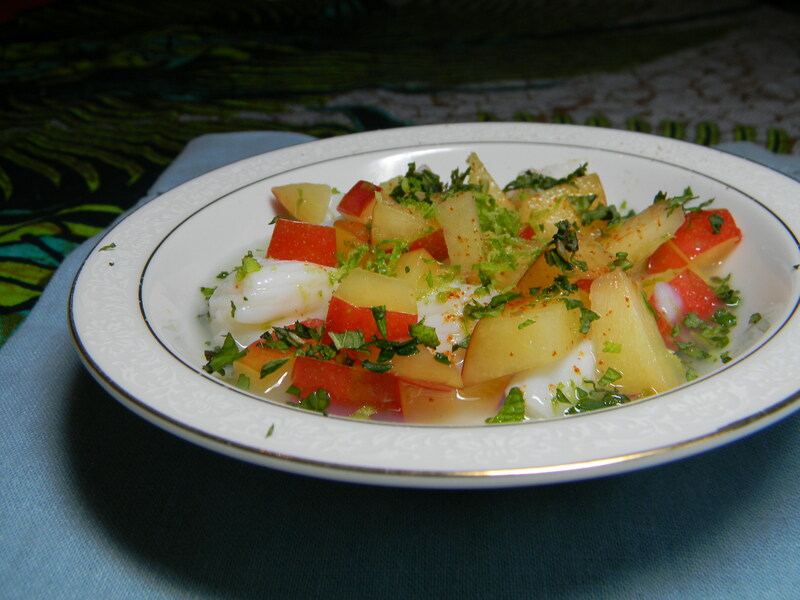 Instead of cooking with heat, follow the lead of many South American cultures/countries and try making ceviche. It’s a really simple way to prepare seafood (in this case scallops) that results in a tasty dish without all of the attention and heat that scallops usually require. In a ceviche dish, you let the acid from some sort of citrus “cook” the seafood instead of using heat. As Mark Bittman explains, the acids works by “denaturing the proteins in the seafood in much the same way that heat does.” We used his recipe for a scallop and plum ceviche – and used lime juice to “cook” the scallops. Now we’re hooked on ceviche dishes and think they’ll be a fun, easy way to “cook” in spring and summer.